Sivion is back with new material featuring many high profile guest artists and producers. 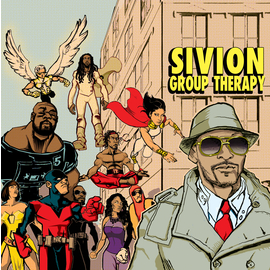 Group Therapy is Sivion’s fourth studio album and sixth release overall. Multi-platinum producers Symbolyc One (Jay Z, Beyonce, Kanye West, 50 Cent) and TheARE (LL Cool J, Nicki Minaj, Keyshia Cole, Earth Wind & Fire) contribute production for the first two singles, as well as Tha Kracken! which produced for Grammy winner, Lecrae. Group Therapy is full of positivity, something largely missing from hip-hop these days.